A physio for you... meet our team! Helping you to achieve your potential. Heading towards Heysham along the promenade we are tucked behind Upstairs Downstairs just next to the old frontierland site. There is free parking on Highfield Terrace and The Promenade. How to find us at our Kirkby Lonsdale clinic. We are based in the GP surgery which has excellent accessibility for our clients. At the roundabout on the A65 just North of Kirkby Lonsdale take the exit towards Booths Supermarket.Immediately turn left into Wellington Court. The surgery is directly ahead of you. Free parking is available at the surgery. 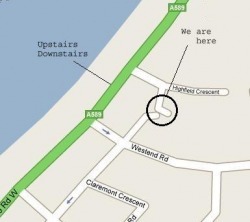 There is wheelchair access within the building with a lift to the first floor.